If the peace talks give rise to a renewed power struggle in Afghanistan, India should be nimble-footed in choosing partners. President Donald Trump’s intent to withdraw US troops from Afghanistan, reiterated in his State of the Union address, has thrown the already fraught situation in a state of flux. Saddled with a tough brief from his boss, US special representative Zalmay Khalilzad has met the Taliban a number of times in recent months. His wish list includes a ceasefire, paving the way for withdrawal of US forces with the exception of some counter-terrorism presence, a pledge by the Taliban not to permit use of the Afghan soil by international terrorists and an intra-Afghan dialogue involving the Taliban and the Afghanistan government to settle the details of power sharing and a future political set up. After Khalilzad’s meeting with the Taliban in Abu Dhabi in December last year, along with the representatives of Pakistan, UAE and Saudi Arabia, they dodged him for a month, accusing him of trying to expand the agenda of talks beyond withdrawal of foreign forces, which seems to be their primary focus. Eventually, they met him in Qatar for six days, beginning January 21 – the most substantive round of dialogue so far – even as in a show of force, the Taliban attacked the training school of the National Directorate for Security in Maidan Wardak province, killing a large number of persons. Information trickling in from both sides suggests that the Taliban had their way in keeping the agenda narrow. There was agreement in principle on withdrawal of US forces from Afghanistan, though no specific timeframe was agreed upon, and a return commitment by the Taliban that they would do what is necessary to “prevent Afghanistan from ever becoming a platform of international terrorist groups or individuals,” as Khalilzad put it. 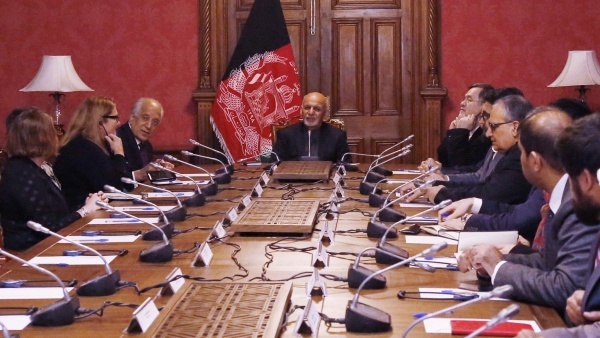 There was clearly no meeting of minds on a ceasefire and intra-Afghan dialogue. While Khalilzad stated that “Nothing is agreed till everything is agreed, and “everything” must include an intra-Afghan dialogue and comprehensive ceasefire”, the Taliban spokesman Zabihullah Mujahid said that progress on other issues was impossible until the issue of withdrawal of foreign forces was settled. It was reported that the talks would reconvene on February 25 in Qatar. Increasingly marginalised in the process, President Ashraf Ghani insisted in an address to the nation that the Taliban engage with Kabul. He looked even more isolated when the Taliban sat with a number of Afghan leaders, including former President Hamid Karzai, in a Russia-engineered meeting in Moscow, organised by the ‘Council of the Afghan Diaspora in Russia’, which was dubbed as a political drama by the Afghan foreign ministry. Uncertainty hung over the Presidential election due in July this year because of the reports concerning setting up of an interim government following a deal with the Taliban, reinforced by a plan circulated by the RAND Corporation that envisages an 18 month transition period and a transitional government with rotating chairmanship. The talks so far seemed headed increasingly towards what Karzai described at the Raisina dialogue as a deal between the US and Pakistan on Afghanistan. The only silver lining was the appointment of Mullah Abdul Ghani Baradar, who co-founded the Taliban with Mullah Omar and is reported to be a votary of peace, as the head of the Taliban Political Office in Qatar. Going by the interests and compulsions of the key players, the prospects of the ongoing efforts bringing about durable peace and stability to Afghanistan do not look good. The process will face many hurdles as it moves forward. Even though Khalilzad has said that the US is seeking a peace agreement and not an agreement to withdraw its troops, his president’s professed desire to pull out of Afghanistan and his publicly articulated impatience (Khalilzad said recently that the timing of a peace settlement from the American point of view would be sooner the better) have left him with a weak hand. Pakistan’s policy has been and continues to be driven by the India obsession of its security establishment, which seeks a pliant regime in Kabul. This quest and the consequent Pakistani actions to destabilise Afghanistan have generated widespread hatred against it, including among a large number of Pakhtuns. The result is that the only card available to Pakistan to stay relevant to Afghanistan, which it should have been able to in many positive ways as an immediate neighbour, is its influence over the Taliban. Reports emerging from the US state that Pakistan, a spoiler earlier, is now facilitating the US-Taliban dialogue. However, it needs to be recalled that when Mullah Baradar engaged in a behind the scenes dialogue with the Karzai government, he was arrested by the Pakistanis in early 2010 and was released only late last year in response to a US demand. There is no reason to believe that Pakistan will not throw a spanner in the works again, should it feel at any stage that the dialogue does not conform to its worldview. With nearly all international partners of Afghanistan now willing to talk to the Taliban, they already look winners. Their spokesman has said they are not looking for monopoly on power, but to live with their countrymen “in an inclusive Afghan world”. However, the propensity to control the entire country and shape it after their worldview is hardwired in their DNA. If there are any moderates among them, they have never held sway over the movement. They have not fought all this while to share power. Even if they initially accept a power sharing arrangement, they could be expected to push for complete dominance, thereby unleashing yet again a power struggle, particularly with the ethnic minorities (Tajiks, Uzbeks and Hazaras) and other local warlords. They may not harbour international terrorists, but their control over the country will facilitate the projection of their obscurantist ideology and religious extremism to the rest of the region. The joint declaration issued after their above mentioned meeting with some Afghan leaders in Moscow is full of generalities and pious wishes. Thus it speaks of protection of the social, economic, political and educational rights of the Afghan women and of the entire people of Afghanistan “in line with Islamic principles”. Ironically, when they ruled the country the last time, they always maintained that they were running it in keeping with the principles of Islam. It is just that they practice a very extreme version of Islam combined with archaic tribal traditions. 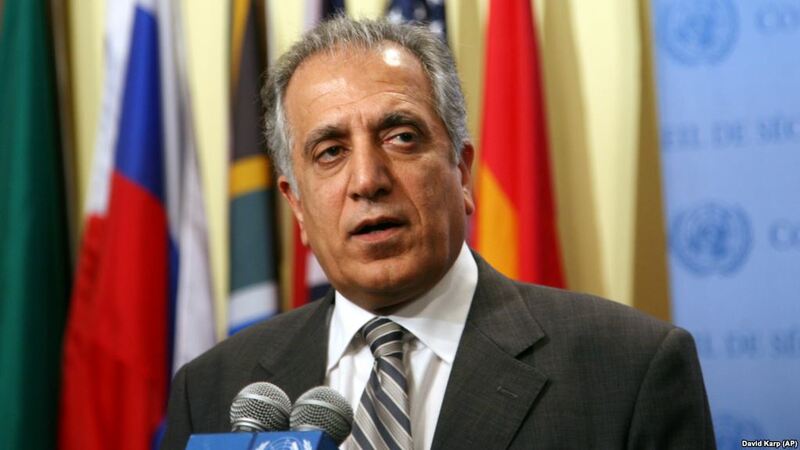 Speaking to an audience in Washington, Khalilzad said that he had talked to all the neighbours of Afghanistan, with the exception of one or two, but they have not yet agreed on a formal framework for regional participation. The regional countries and other major partners of Afghanistan have varied interests that could create hurdles for whatever is settled between the Americans and the Taliban. The Russians have publicly expressed their dissatisfaction with the American peace moves. A recent Russian foreign ministry statement attributed the move to postpone the Afghan presidential election from April to July this year to the US needing additional time to prepare for holding the voting “in accordance with its patterns and building a peace process in Afghanistan according to own scenario”. It alleged that the Americans were looking to create, in the context of the planned reduction of their military contingent in Afghanistan, some Afghan ‘counter-terrorism units’, which will not be controlled by Kabul but will work in the interests of the US Special services. Separately, a Russian foreign ministry spokesperson, while welcoming the US resolve to launch a peace process, noted that Khalilzad’s efforts to convince the Taliban to engage with an official delegation from Kabul had not succeeded in spite of the support of several Gulf states and Pakistan and it was premature to talk about the results of the “US unilateral effort” to launch the peace process in Afghanistan, “which reaffirms the need to find a collective solution that would take into account the interests of all the neighbouring countries and main partners of Afghanistan.” If the Americans are able to retain a long term residual security presence as alleged by the Russians, it would cause concern among countries like Russia, China and Iran that may feel compelled to take some counter-measures. India has a deep and abiding interest in Afghanistan, not only because of the civilisational links between the two countries, but also because turmoil in Afghanistan does not leave us untouched and more importantly, Afghanistan now serves as our transit to the geopolitically important and resource rich Central Asia through the Chabahar port. The traditional goodwill for India in Afghanistan has been reinforced in recent years by the development work done by us since 2002. However, we have depended upon others to provide security for our development activities. Putting boots on the ground has not been an option as it would bring us in conflict with Pakistan and its proxies, with the logistical advantage lying with them. Pakistan has not responded positively to our past proposals to engage on Afghanistan, perhaps because it does not see a role for us there – a position reiterated by their foreign ministry spokesman recently. A number of voices, including General Bipin Rawat, have recommended of late that we engage with the Taliban. 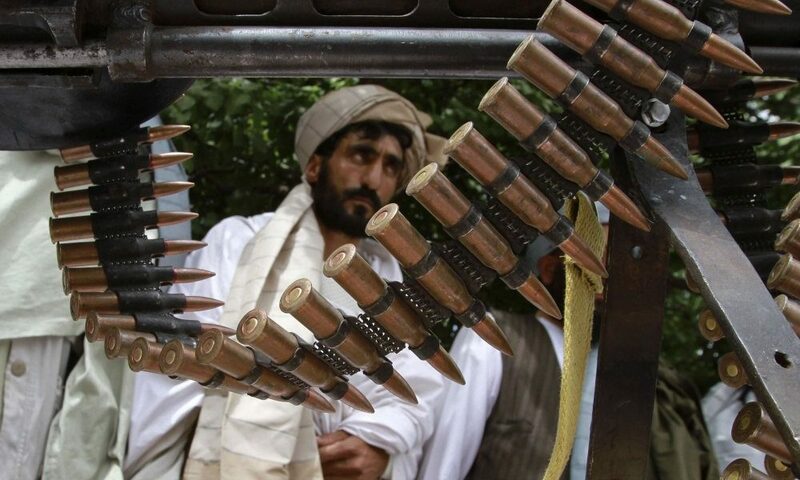 The Afghan Taliban are fiercely independent like the other Afghan. They did not recognise the Durand Line when they were ruling Afghanistan the last time. I heard from some retired Pakistani diplomats that when the matter was broached with Mullah Omar, he finessed it by saying that there was no point in discussing it as people living on both sides were brothers. But let us not forget that besides having deep ideological affinities with the religious extremists in Pakistan, the Taliban depend upon the Pakistanis for sanctuaries and more. Many of them have their families and business interests there. Such dependence will continue if, as expected, the American withdrawal leads to renewed power struggle within Afghanistan. Therefore, while we should be willing to engage with all the stakeholders in Afghanistan, who are prepared to engage with us, we should remain conscious of the fact that unless the Taliban change radically to live in a genuine power sharing arrangement, their ability to resist the Pakistani influence or accommodate our interests will remain severely constrained. The only way we can influence the ongoing peace moves is by working with like-minded countries. In this context, it is good that the government has expressed our willingness to participate in “all formats of talks which could bring about peace and security in that region.” There is no point in hitching our wagon to the peace moves of a particular country, including the US. If an inclusive arrangement capable of ensuring peace and stability in Afghanistan comes about in spite of all the odds, we should be prepared to not only continue with our development work, but also share in the financial burden that the international community will have to bear till the stabilised state is able to stand on its feet. If, on the other hand, as is more likely, there is a renewed power struggle, we will have to be nimble-footed in choosing our partners within and outside Afghanistan in the light of the changing equations. Sharat Sabharwal is a former high commissioner to Pakistan. Views expressed are personal.